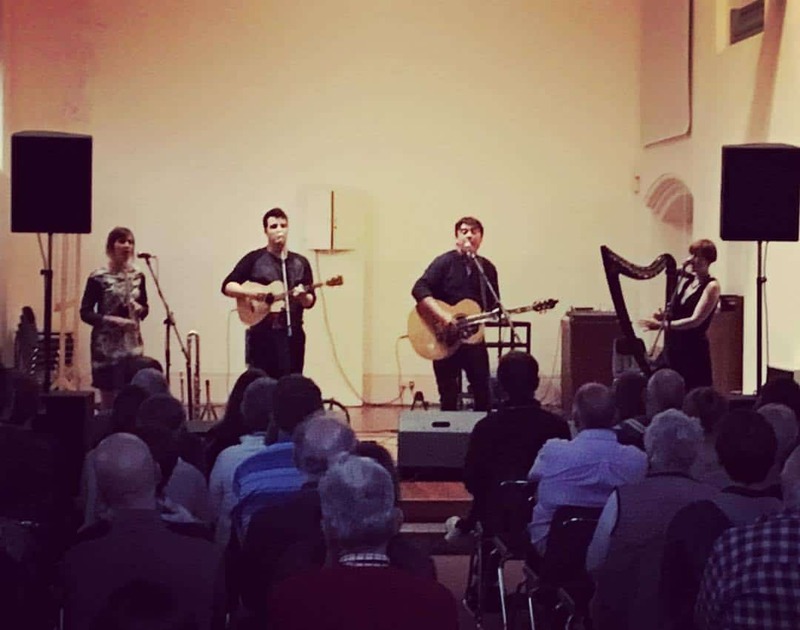 dB Live Sound provided sound for a fantastically different band last night, Ranagri – an Irish music folk band that, described in their own words …. “produce an electrifying mix of virtuosic instrumentals, haunting melodies, vivid storytelling and their unique take on old and new folk songs.” They definitely do all that! The venue was Malvern Winds (School) at Malvern College. St Edmunds Hall is an impressive building with the typical acoustics of a church hall, great for un-amplified wind instruments but plenty of bouncy reverb challenges for us when engineering for Ranagri. 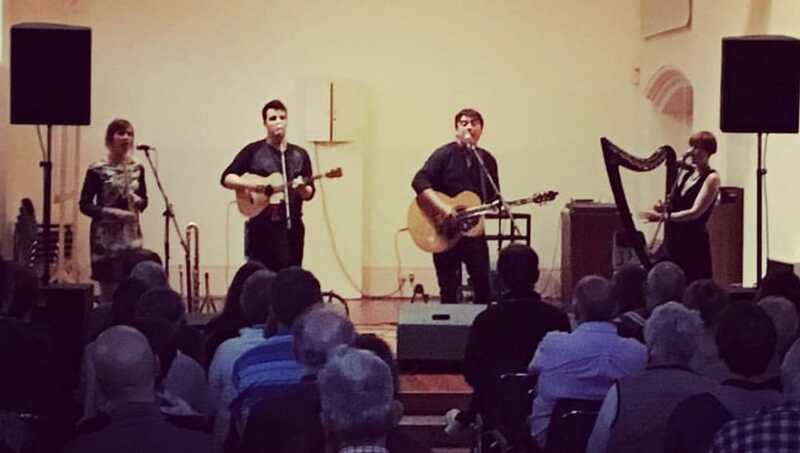 The good news was that Ranagri have a sound that benefits from longer than normal reverb times and with appropriate volumes we managed to tame the room to an acceptable overall sound. The audience seemed to enjoy the haunting melodies and more uptempo tracks from Ranagri and the band seemed pleased with stage monitoring. 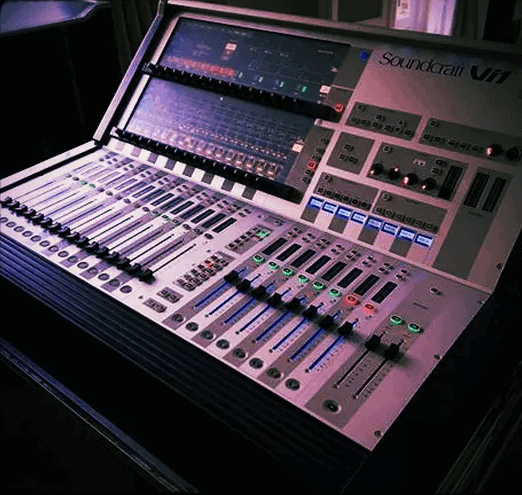 FoH and monitoring was engineered from our Soundcraft Vi1 hooked up with an iPad. One desk but using 2 duplicated input banks we had an entirely separate monitor mix from FoH – I think that’s one of the big advantages over analogue, the ability to easily patch mic inputs to multiple channels for totally separate dynamics, eq and mix. Having an engineer at the desk and another on iPad and we ‘almost’ felt like we had monitor world, unheard of in analogue for a venue of this size. 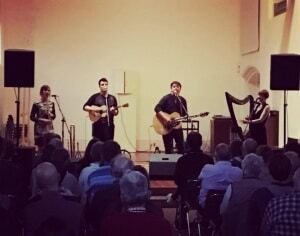 If you want to hear some very accomplished musicians playing a very enjoyable set then check out Ranagri when you can.